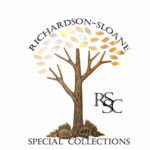 The Richardson-Sloane Special Collections Center is housed in the Main Street location of the Davenport Public Library in Davenport, Iowa. We have extensive local history and genealogy research collections. These include 23,000 books, 18,000 rolls of microfilm, 74,000 photographic images and 2,000 linear feet of archive and manuscript collections. We also serve as the Archives for the City of Davenport, and have many resources from Scott County. I am researching my great grandfather, Christian Hauschild, who was born in Mehlen Germany in 1867 and came to reside in the Davenport Iowa area and died 1941. He was married to Emma Ann Turner of Iowa. I’m looking for his parents and any siblings he may have had, and a copy of his obituary. I may be mistaken but I think they lived next door to my grandparents on E. 14th Street? I do believe the Haussmann’s are related to Hauschild. Go onto the website findagrave.com, create an account, put in the information you have then proceed to find any and all Hauschild within: the cemetery of burial; Davenport: Scott County; finally Iowa. Will you please update me with any information that may pertain to this family tree? My children are Haussmann, and I am trying to research my family, now, I am starting on theirs also. Another source you might want to try is the 1940 Census. Christian’s parents were Christian Hauschild and Elizabeth Rausch. Christian and Emma were married in Muscatine, Iowa. Please post your sources! Thanks! I have a Photo of a Davenport Police officer named on back as “Bimmie Geerts” . Thank you so much for your question. DPD Officer Bernard Geerts nickname, as listed in local newspapers, was Benny. We do know Officer Geerts was born in Holland and immigrated to the United States. I am not sure if that would alter the spelling of Benny or not. If you would like to email a picture of the photo you have I would be glad to look at it to see if the man is similar to other photos of Officer Geerts I have seen. There was also another officer on the DPD around the same time with a similar name. We have a picture of that officer as well we could compare your photo to. Please email specialcollections@davenportlibrary.com with Attn: Amy D. if you would like me to take a look. Hello! I am searching for a group photo of my grandfather, Clyde C. Collins, on a St. Ambrose Baseball team in the early 1900’s (1902-1906). I saw a copy of a copy one time years ago at my grandparents house but they’ve been gone since the 70’s and we lost track of it. I would sure love to get my own Dad a copy of that photo for Father’s Day. Any suggestions? Thank you so much. Hello! We’d be happy to help you with your search. Please send us an email at specialcollections@davenport library.com or make a request through our online form at http://www.davenportlibrary.com/genealogy-and-history/ask-a-genealogy-question.